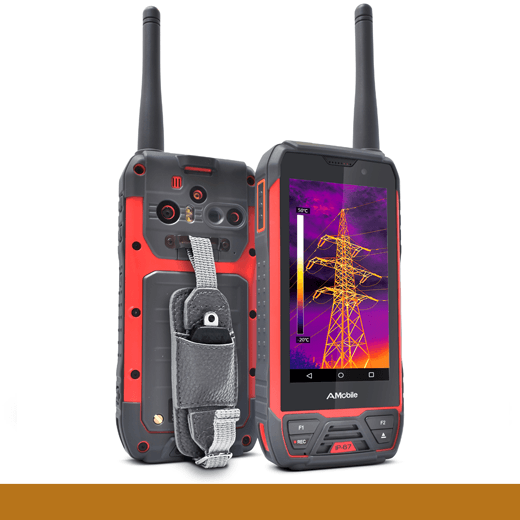 The Mobile Inspection Assistant G60 is the world's first 3-in-1 handheld device, combining a thermal imager, a push-to-talk radio and a smartphone. It’s designed for industrial inspections, including electric power, building quality, firefighting, and rescue personnel, to increase efficiency and accuracy. It is a powerful handheld device with rich wireless communications and multidata collectivity. Ideal for working in harsh environments, the G60 is waterproof and dustproof, as well as protected by a rubber coating for shock and drop resistance up to 1.5 meters. Designed by: Eric Lee, Liying Chen, Cheng-Cheng Chen, Joey Yeh and Tsung-Chih Yeh of AMobile Intelligent Corp., Ltd.